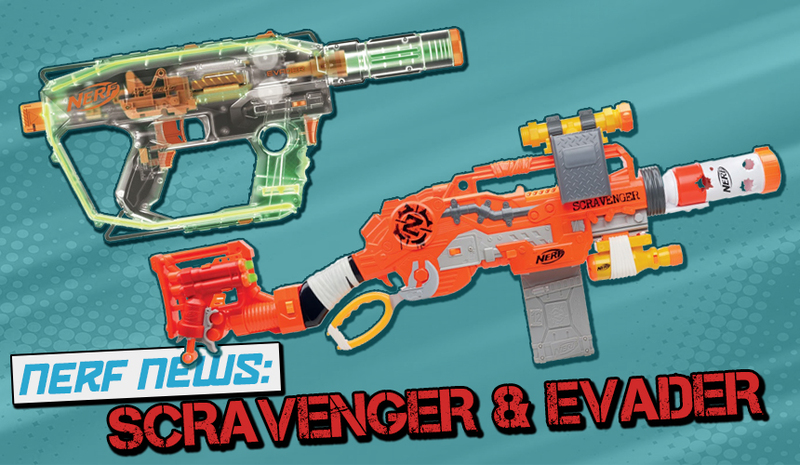 Nerf News: Zombie-Strike Scravenger and Modulus Evader Revealed! Before being displayed at the upcoming New York Toy Fair, the people at Geek.com were given an exclusive look at two new Nerf blasters, the Nerf Modulus Ghost Ops Evader and the Nerf Zombie Strike Survival System Scravenger. 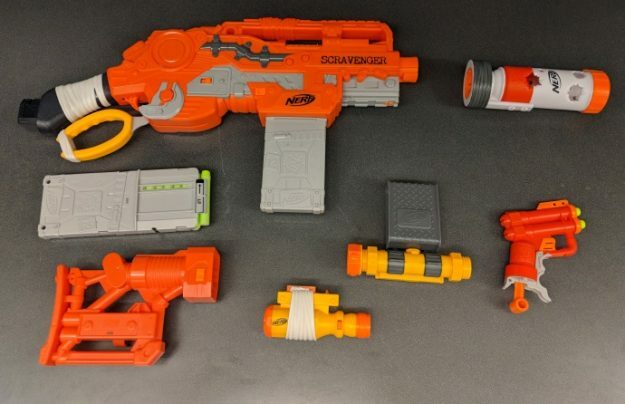 It’s quite interesting how the Evader is labelled as a Modulus blaster, yet the Zombie Strike Scravenger comes with far more attachments. 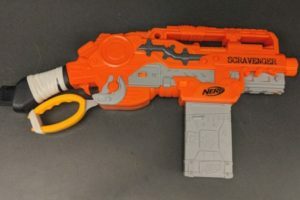 I’m also intrigued by the on/off slam fire button featured on the Scravenger. 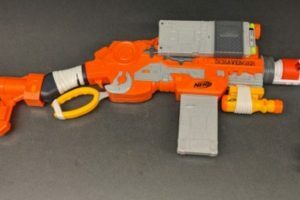 If you haven’t already heard the news, check out Buffdaddy’s post on the upcoming Rival Blasters and the Elite Infinus and Mega Thunderhawk. 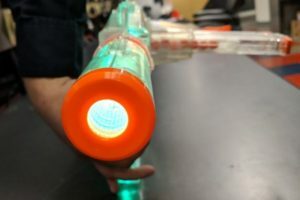 The 2018 New York Toy Fair will run from the 17th to the 20th of February. 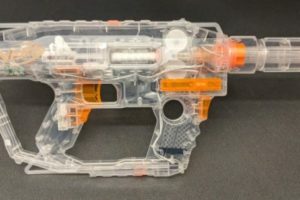 This entry was posted in Dart Blasters, News/Updates and tagged 2018, evader, ghost ops, nerf, news, scravenger, survival system on January 30, 2018 by JJ Reviews. 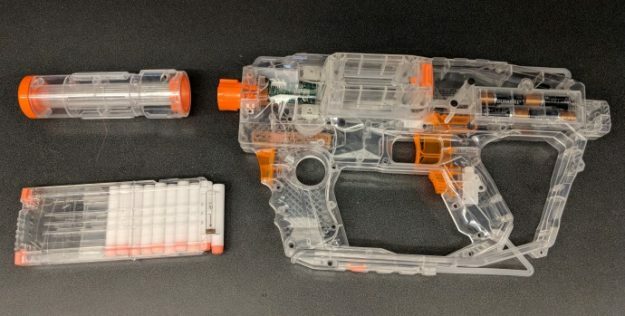 Some people are just complaining about these being reshells, but I mean… what else can you really do? 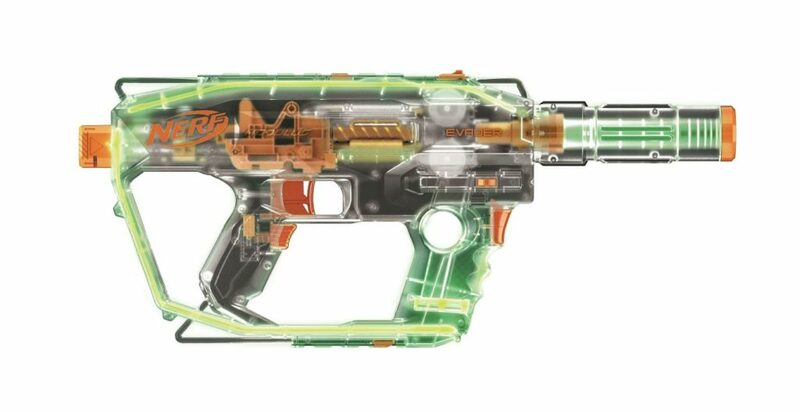 More frustrating is the increasing costs, but not every gun can or has to be a brand new innovation. I think these are pretty cool. I think the Evader is a different enough shell to make it unique. 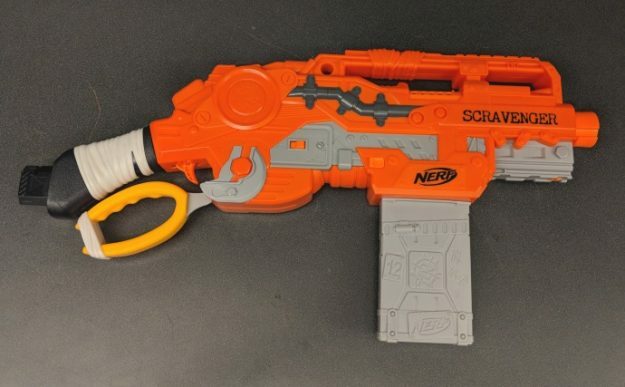 The Scravenger is… interesting. I’m not sure how to feel about that stock attachment, but I do like the unique accessories and different magazine. 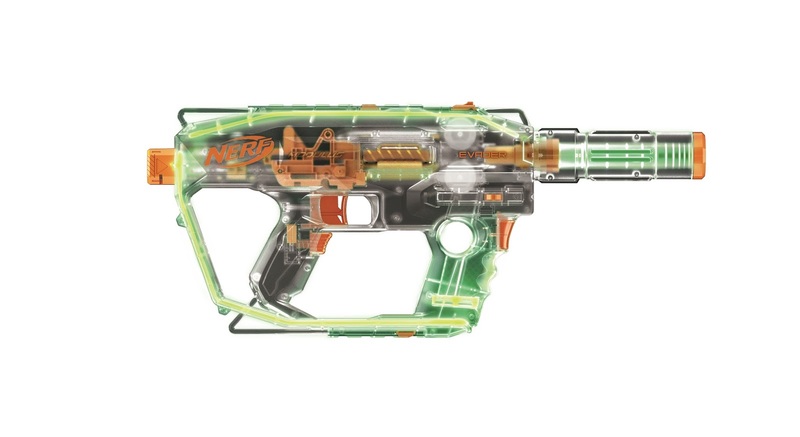 I complain about the gimmicks…I am glad that the Stryfe is here again, albeit with an odd mag-well design. 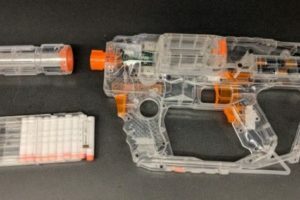 It is like the Raider’s transition to the Alpha Trooper, but in reverse.